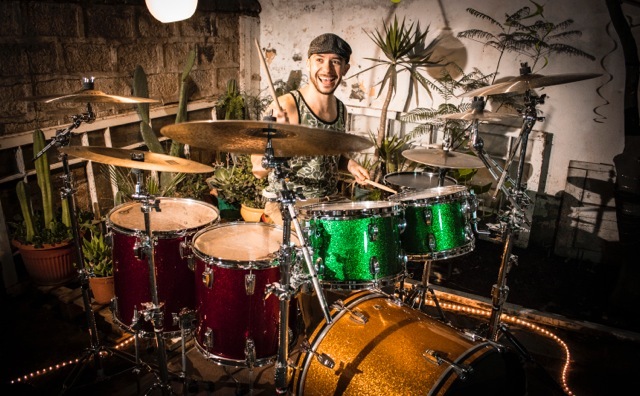 Christopher Schönffeldt is one of the most important drummers in Chile. He has an extensive musical career as a session player, teacher and clinician. He has stood out mainly for his level of professionalism and versatility as a musician. He was born in Santiago de Chile and he grew up in a musicians family. 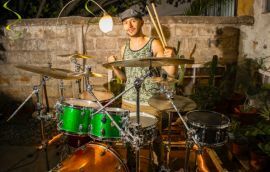 With a restless career as a session musician, Christopher has been a regular member of various bands such as Drakos, Santo Barrio, Fulano and Villa Cariño. With them he has recorded albums and toured all across Chile, Mexico, Argentina and Europe. He has worked with prominent producers, including the double Grammy Award Winner “Native” Wayne Jobson (No Doubt, Ray, Bush). 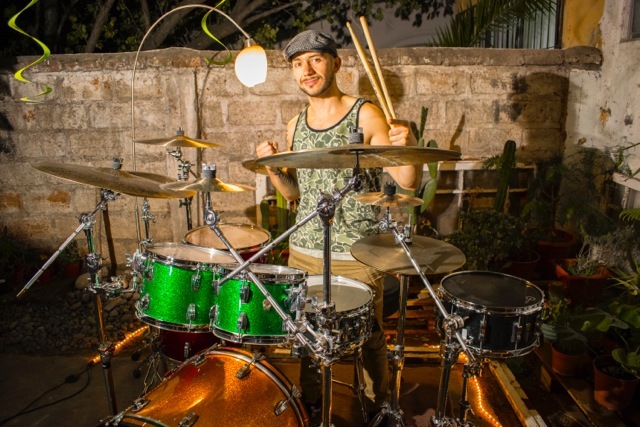 In 2013 he joined successful Latin Fusion and Cumbia band Villa Cariño. With over 200 shows per year, they are one of the most active bands in the current scene, taking their music to Argentina, Peru and Mexico. Currently his time is divided between Villa Cariño, different studio sessions, as well as music lessons in “Academia de Batería Bruno Godoy”.